Investors are often looking for the best ways to invest money and so I receive many emails with questions regarding this issue. My reply is based on my style of how I invest my money in the stock market. The main recommendation is to avoid very passive ways to invest money. Even if you think about the long-term horizon for your investment results, your individual investments should last months or about one year as a maximum. From my point of view, the best investment in shares is a long-term trade. You have to consider investing as your business and therefore you have to take care of it. A few hours in a month to check the stock’s situation and make decisions will improve your results. The market crash chart and history chart can provide some valuable lessons for passive investors. The crazy times like the market crash in 1929 or 1987 often wipe investment accounts of many investors. Morningstar ratings should also be accepted only very carefully. Finally, I really think that it is possible to beat professional money managers and generate very good performance every year. Investing or trading is not only about answering the question “How do I buy stocks online“. The broker, investment time frame and stock selection should also be parts of your business plan describing the best ways to invest your money. Bond ETF shares could also be part of your portfolio. 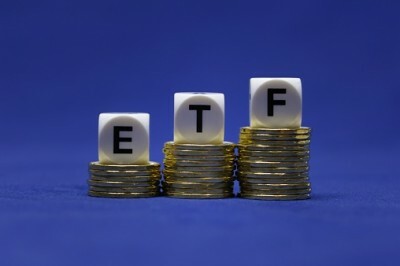 They offer an additional set of ETF investing and trading opportunities. It also includes international bond ETFs and municipal bond ETFs. There are also opportunities to use dividend ETF shares and place them into your portfolio. The analysis of major stock market indexes could be useful for active stock and ETF investing. The Dow Jones index, Nasdaq 100 index, Nasdaq composite index, S&P 500 index and Rusell 2000 index are the most popular US stock market indexes. Commodities have been moving in huge price swings during our current decade. There are public discussions and ideas as to how to invest in commodities that are published in magazines or online. Some believe that they are one of the best ways to invest money. My opinion about long-term investing into commodity ETF shares is negative. But I like to use commodities ETFs for short and mid term trades. You can also do these short and mid-term trades with Natural gas ETFs to realize one of our Global macro strategies I follow in my portfolio. Another list of examples for developing of a commodity ETFs investing strategy is described for ishares gold exchange traded fund and ishares silver exchange traded fund shares. Here are several notes about the best ways to invest money in silver or how to find the best silver stocks. If you are looking for ways to invest in gold then you can look for the best gold stocks including gold miners ETF or simply check options for pure gold exchange traded funds. I recommend learning the basics of technical analysis like support and resistance and trend. It will help you to make better entries for your long term trades / investments. Risk management & Trade management of your investments will be much better using the basic tools of technical analysis. Technical analysis could also be one source of good picks for you portfolio. There are two best ways to invest money in shares. 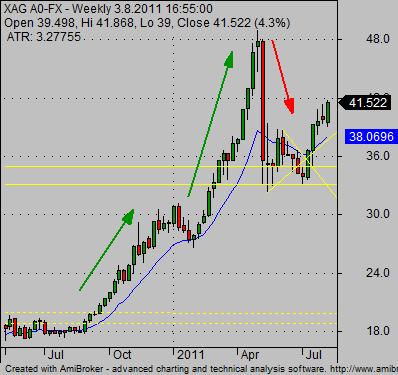 One is using technical analysis and another using fundamental analysis. Fundamental analysis could be a time consuming job so learn my tips on how to use it wisely for online trading and investing activities. Today’s investors or traders are active and also use international stock exchanges. They buy and sell shares priced in different currencies as one of the best ways to invest money. The foreign exchange rates are moving every day and it is wise to know how to protect against these movements (to hedge) or how to use these movements for currency online trading.